Will UK patients get access to novel drugs? Access to medicines is not high on NHS chief executive Simon Steven’s list of priorities but, despite the challenges, there is a wealth of innovation taking place to improve patient outcomes. Richard Staines reports from the recent QuintilesIMS UK Market Access Summit. For those campaigning for better access to medicines, 2017 has not radiated a positive glow so far. Amid the ongoing concerns over how Brexit will impact the health of the nation, the uncertainty caused by the snap General Election results, and the parlous state of the National Health Service’s finances, there are renewed concerns over whether UK patients are likely to have their access to the latest innovative medicines restricted yet further. “The NHS is becoming increasingly focused on the cost of drugs, rather than their benefits,” Leslie Galloway, chairman of the Ethical Medicines Industry Group, representing small and medium-sized pharma companies, told the audience at the recent QuintilesIMS UK Market Access Summit in London. While there is a chapter related to innovation in the Next Steps for the NHS Five Year Forward View document published in March, Galloway points out that Stevens makes no mention of medicines in his list of priorities. Instead his focus is on patients being able to access care online, using the 111 NHS advice service to resolve minor problems, simplifying and improving online appointment booking processes, allowing clinicians to share appropriate medical information, and using apps to help people manage their own health. Alison Kneen, head of market access at QuintilesIMS, agrees that the new budget impact test could severely restrict access. “Patients may not get access to approved medicines for three years,” she says. Nevertheless, she stresses that under closer scrutiny there may be opportunities and that they are likely to be realised by those companies that innovate. The Pharmaceutical Price Regulation Scheme (PPRS) has not succeeded in its goal of improving access to drugs, Galloway stresses. Consequently, he believes industry must prioritise the development of a new voluntary pricing scheme for branded medicines – particularly with the PPRS up for negotiation next year – and that encourages the use of new and novel medicines. “(The PPRS) is not working for the Treasury, it is not working for the NHS and it is not working for the patients,” he argues. Under existing arrangements, the pharma industry rebates the NHS if it goes over pre-agreed limits, restricting growth in drug spend to just under 2% annually for the last three years of the five-year deal. This considerable annual rebate is intended to be fed back to NHS organisations to encourage them to use new drugs – but instead the funding has been swallowed up by the financial black hole that has emerged in the health service over the past few years. So with the regulatory and stakeholder landscape taking another monumental turn, what are the options for pharma to access the UK market? 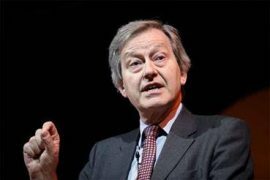 According to former health secretary, Stephen Dorrell, now chair of the NHS Confederation, the evolution of Sustainability and Transformation Plans (STPs) could offer up both new opportunities and a helping hand for the sector. These wide-ranging plans, which bring together health and social services to address the healthcare challenges facing local populations, could create opportunities for innovative services developed between private sector partners and the NHS. 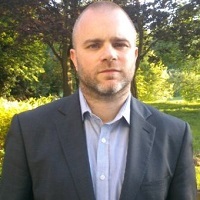 As part of this, he urges industry not to look to central funding authorities in the first instance, but to instead engage STPs to see if there are ways that novel drugs and products can help to modernise services at a regional level, saying, “STPs are open to arguments that we should be more imaginative about how resources are used”. 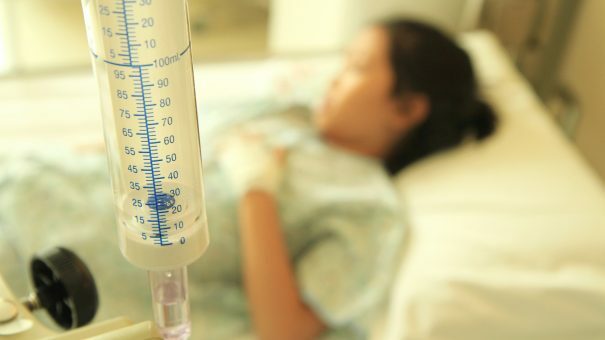 STPs could perhaps be described as the next step on from Cancer Vanguards in the overarching ambition to shape new models of care and to provide a blueprint for NHS organisations to encourage innovation and use of new branded medicines. These Cancer Vanguards are one of the real positives that have fallen out of the NHS Five Year Forward View, notes Robert Duncombe, director of pharmacy at The Christie NHS Foundation Trust. Jointly led by three provider organisations – The Christie NHS Foundation Trust in Manchester, The Royal Marsden NHS Foundation Trust and the London Hospitals NHS Foundation Trust – the Vanguard’s lofty ambition is to jointly find ways to improve cancer care. One such approach came with the ‘Pharma Challenge’ – an invitation to drug companies to submit proposals that would improve the availability and delivery of cancer medicines. This led to 39 proposals from 22 companies, which were judged by a panel of chief pharmacists, nurses, clinicians, health science and other professionals, says Duncombe, with a ‘Pharma Challenge 2’ now being considered. “There is clearly an appetite to work more closely together to deliver novel ways to optimise use of medicines,” he reveals. From the first ‘Pharma Challenge’ has stemmed a partnership with Amgen to find the most efficient out-of-hospital administration of Xgeva (denosumab) in advanced breast cancer, while Sandoz has proposed an education and engagement programme with healthcare professionals around the use of biosimilars in oncology. In addition, Merck KGaA and QuintilesIMS joined forces and won a Pharma Challenge bid to contribute data surrounding real-world evidence, drug usage, patient level costing and patient experience to extend the capabilities of the Vanguard in colorectal cancer. “These insights will help make medicines optimisation an integral part of routine practice and will enable the NHS to transform the colorectal cancer patient pathway to improve clinical outcomes and patient experience,” says Kneen. Certainly, the rise and rise of biosimilars was hot on the lips of attendees at the Summit, with speaker Neil Betteridge, co-chair of the chronic pain policy coalition, saying they offer a ‘win-win’ opportunity in terms of access to medicines. However, he cautions, the benefits will only be realised if patients are brought on board. Denmark is a good example in this scenario. Although biosimilar infliximab achieved a high level of penetration in the treatment of inflammatory disease, the tough approach taken by the healthcare system had a detrimental effect on patients’ relationships with clinicians. Here, in the UK, biosimilars hardly get a mention in the Next Steps on the Five Year Forward View, although it does note that they will fall under the remit of Regional Medicines Optimisation Committees – alongside a plethora of other responsibilities including improving prescribing in care homes, reducing medicines wastage, and increasing use of generics. 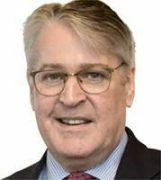 As a result, says Betteridge, there are a number of questions that need to be answered around what happens as these newer and cheaper biosimilars come to market. Will patients be “switched and switched” each time a new biosimilar emerges? he asks. These are issues that must be handled sensitively, particularly as biosimilars are clinically proven to be as safe and effective as the originator, yet produce no additional benefits. In this respect, he says, patients may not always be convinced that they should receive a cheaper drug solely for altruistic reasons, such as saving the NHS money. “(The patients) are doing a favour for someone else, but they are taking all the risk,” warns Betteridge. Galloway is right to be downbeat about the bigger picture regarding market access in the UK – the machinery of the NHS is working against pharma companies that wish to bring novel medicines to patients. Even in a testing and challenging environment, innovation can flourish and there are organisations and individuals within the life science industry who are working in partnership to improve and save patient lives.